Students make little progress in intellectual growth in the first two years of college. Why is that? Secretary of Education Arne Duncan answers questions about the education issues the President discussed in his State of the Union Address in a roundtable discussion. January 27, 2011. President Obama speaks about moving forward to create jobs, out-compete in the global economy by investing in innovation and education, and win the future for our children and our country. January 25, 2010. U.S. President Barack Obama appealed to what he called Americans' creativity and imagination in urging the nation toward innovation and competitiveness. In his annual State of the Union address, Mr. Obama proposed new government investment even as the new Republican majority in the U.S. House of Representatives pushes to cut government spending. VOA's Carolyn Presutti summarizes the speech and the Republican response. Watch behind-the-scenes footage and interviews from the making of President Barack Obama's 2011 State of the Union Address. Senior Advisor to the President David Axelrod and Director of Speechwriting Jon Favreau give a rare inside look at the process behind the President's address. Does strict control of a child’s life lead to greater success? Tips for the Critical Reading and Writing sections from SAT Verbal Prep. Good Luck on the Test! servedotorg: MLK 25 Challenge: What are you Doing for Others? 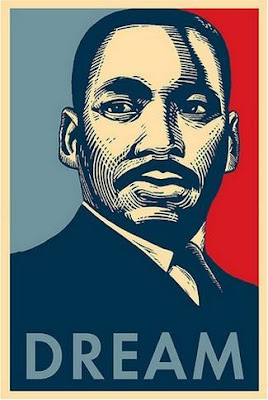 To mark the 25th anniversary of the King Holiday, and to encourage ongoing service throughout the year, we are launching the MLK 25 Challenge -- a call to all Americans to honor Dr. King by pledging to take at least 25 actions during 2011 to make a difference for others and strengthen our communities. Ask yourself this question: What are you doing for others? "This bill would provide certain illegal and deportable alien students who graduate from US high schools, who are of good moral character, arrived in the U.S. illegally as minors, and have been in the country continuously and illegally for at least five years prior to the bill's enactment, the opportunity to earn conditional permanent residency if they complete two years in the military or two years at a four year institution of higher learning." DreamActivist.org is a multicultural, migrant youth-led, social media hub for the movement to pass the DREAM Act and pursue the enactment of other forms of legislation that aim to mend the broken immigration system. The DREAM Act Portal is a clearinghouse of local and national DREAM ACT organizations and activities. Dr. Martin Luther King Jr. changed the course of history and inspired us to build what he called "the beloved community." The King Legacy of Service 25th Anniversary video tells the story of how Dr. King's birthday evolved into a national day of service. Featuring civil rights luminaries such as Congressman John Lewis, Reverend Dr. Joseph Lowery, and Ruby Bridges, the 6-minute video reminds us of the importance of keeping Dr. King's legacy of service alive and challenges us to make service a part of our lives ─ everyday of the year. Secretary Duncan on CSPAN answers questions about curriculum, standardized tests, and budget cuts. Introducing the world's first online global science competition, the Google Science Fair! Google has partnered with CERN, LEGO, National Geographic and Scientific American to create a new kind of online science competition that is more global, open and inclusive than ever before. Students aged 13 - 18 from around the world are invited to enter and compete for awesome once-in-a-lifetime experiences, scholarships and real-life work opportunities. Sign up today at google.com/sciencefair. Beginning with the May 2011 AP Exam administration, there will be a change to the way AP Exams are scored. Total scores on the multiple-choice section will be based on the number of questions answered correctly. Points will no longer be deducted for incorrect answers and, as always, no points will be awarded for unanswered questions. 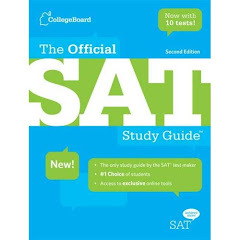 Due to the change to the way AP Exams are scored, the scoring worksheets found within the Released Exams in the College Board Store have been revised. To download a new worksheet for a Released Exam, see CollegeBoard Multiple-Choice Scores. Advanced Placement is being redesigned to test more conceptual understanding. These are draft examples of the types of questions that will be found on the new AP Biology test. Advanced Placement is being redesigned to test more conceptual understanding. These are draft examples of the types of questions that will be found on the new U.S. history test. Can a regimen of no playdates, no TV, no computer games and hours of music practice create happy kids? And what happens when they fight back? This essay is excerpted from "Battle Hymn of the Tiger Mother" by Amy Chua, to be published Tuesday by the Penguin Press, a member of Penguin Group (USA) Inc. 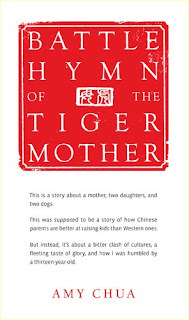 Copyright © 2011 by Amy Chua. Spending money on tablet computers may seem an extravagance, but some educators say they are more than just a cool toy.